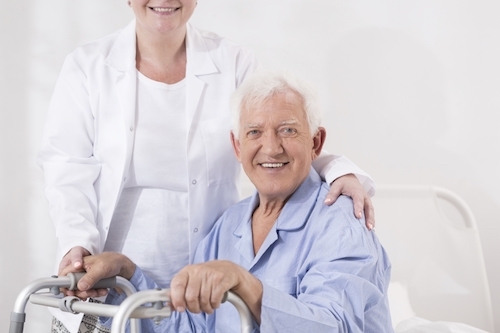 Sunnyvale, CA home care experts can assist families with ALS care. As a neurodegenerative disease, ALS (also known as Lou Gehrig’s Disease) can bring about a number of physical concerns that can lead to clinical depression. For those providing home care in Sunnyvale, CA or anywhere else for ALS patients, it’s easy to quickly become overwhelmed and unsure how to best help the person live life to the fullest and stay positive. When it comes to providing in-home care for a person with ALS, it is crucial for caregivers to understand the problems that the disease presents so they can provide the very best care. People with muscle diseases like ALS are proficient thinkers even if they can’t communicate clearly. Examine choices openly and make mutual decisions about the individual’s care. Inquire if the person wants assistance before helping. Try not to take control of tasks that still can be carried out if the person is given adaptive devices and time. Patience is key. While it may often seem faster and easier for you to take over certain tasks, be patient and let the person undertake the tasks that he/she can. Set up a computer and internet access. Computers and other adaptive technologies supply entertainment and social interaction and make it possible for the person with muscle disease to help with tasks like paying bills, tracking down information, hiring services, and grocery shopping. Use assistive devices. The use of adaptive devices like wheelchairs is a move toward self-reliance, not away from it. Assistive devices are obtainable for many daily tasks such as eating, opening jars and doors, buttoning or zipping up clothing, writing and taking a bath. For individuals with ALS, freedom and exceptional care are essential. Visiting Angels’ home care experts in Sunnyvale, CA and the surrounding areas are fully trained to help provide the care and assistance needed to make sure individuals with ALS live their best lives, and their family caregivers receive the respite they need. If you would like to learn more about our expert ALS care, contact us any time online or call us at 408-735-0977.